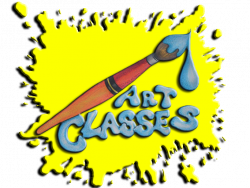 Holiday classes are a great way to see if Young@Art is for you. Come along to a casual lesson during the holiday classes, and if you enjoy it, please feel free to enroll later for the scheduled Term. Casual Holiday classes run to our regular class times during the dates listed. Feel free to check out the Student's work at the Young@Art Student's Exhibition Archive. Click here to find out more. at any time during term, with the remaining weeks of term paid upfront upon enrolment. Students are required to bring a sketch pad or art paper for each class. These can be easily found at any discount store or art supply store. All other art supplies will be provided by us. All Students are encouraged to try and play with many different mediums to see what they enjoy; including pencil, pen work, watercolour, acrylic paints, and other mixed media, but nobody is forced to do anything they don't enjoy, because the best Art is created when you are having fun.